I like all the glyphs you rounded up for Vesta. Where is your Vesta? Mine is in the 9th house, in Taurus. Given that I have assigned Scorpio as the exaltation of Vesta, I would think that your Taurus is not happy in Vesta. What are your impressions? Have you assigned a sign to Vesta? I don’t feel a need to give Vesta to any sign, though the service-orientation seems Virgo-like to me. As far as exaltation – I don’t know. We talked about this a bit in one of my Chiron threads, but I’m not entirely convinced that exaltations/falls etc… are useful. I tend to identify more with Vesta in the 9th house than Vesta in Taurus. I was searching for a celestial body to rule Virgo for the longest time and just happened upon Vesta as I was leafing through a book on asteroids. For me, it’s not that I was looking or needing to assign anything to Vesta. It’s more like I was looking for something to rule Virgo. So given there’s more of an identification with Vesta in the 9th, would you connect it more to Sagittarius? And when you say exaltation and falls not useful, do you mean for the traditional planets or for the asteroids? Keep in mind that Vesta and Ceres are no longer classified as asteroids and that’s one reason why NASA is visiting them (Vesta, July 2011 and Ceres in 2015). Firstly, its symbol “the primal flame, the beginning of things”. And then the discovery date, although Vesta was discovered in the constellation Virgo (which is a huge constellation that spans 3 zodiac signs) it was discovered on an Aries date, early, so this for me is also a clue. I’m not just saying this because I myself have Vesta in Aries (conjunct Saturn) in the 11th house sextile Mercury in Gemini and my Asc… quintile my natal 1st house Mars. You make valid points though, its just that I have thought that Ceres (and Chiron) had some sort of co rulership over Virgo, especially when it comes to the ideas of health and nutrition, wheat, the entire Ceres/Earth Mother/Virgo heavenly virgin thing… Chiron’s relationship to Virgo feels appropriate for me also (although my personal placement for Chiron is Aries) Ceres the harvest Goddess pictured like Virgo, the queen of our night skies, with a stalk of wheat in one hand) BTW I have Ceres conjunct the fixed stars Spica/Arcturus so I think this influences my ideas about Ceres’s rulership a bit as well. I also thought much upon that Libra’s co rulership should be that of Juno, due to the fact, yes, I have it placed there, but that its emphasis upon contractual relationships is natural to the asteroid and to the sign. It also seems to be more about the idea of establishment style of relationships that are with witnesses clauses, penalties and such. I have renumbered the bullet points so I can get an idea of which numbers you believe best matches Vesta’s Functions and Wants that Aries can carry-out. So which numbers do you believe are connected to Aries? What percentage? Instead of the flame being a ‘primal’ one, it is actually a ‘sacred’ one — the eternal flame (Olympic flame). 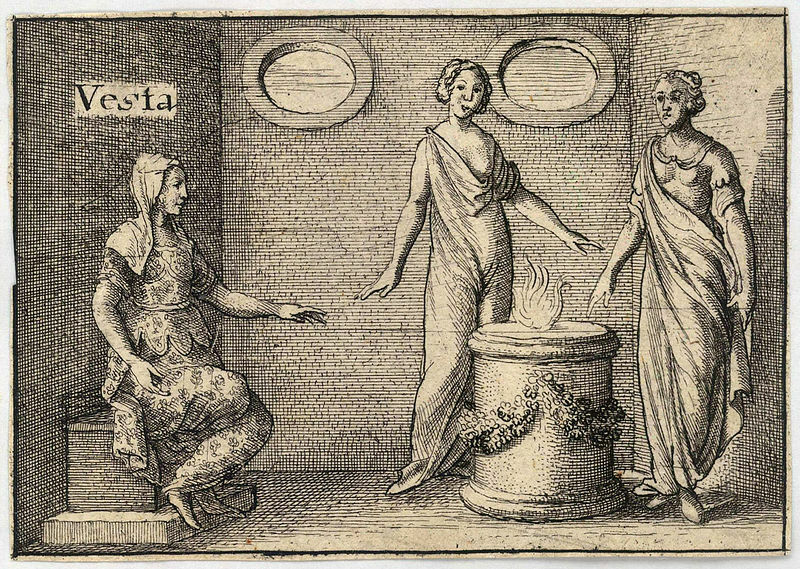 Have you had a chance to read up on the myth of Hestia / Vesta? An earlier myth of Vesta is that she was a Sacred Whore but that was omitted when a King demand the Vestals be Virgins. Vesta stays in the constellations of Virgo and Taurus the longest. Please excuse my ignorance but what signs reside inside the constellation of Virgo? I think of Aries as a sign that has power, courage, innovation, and takes his own initiation. As a cardinal sign, it gives orders — doesn’t take them and Aries is male energy. The Vestal Virgins did repetitive tasks and had to humble themselves in service. I don’t see Aries doing that. Each planet has his or her plan <– you heard it here first …. 😉 for the signs. The signs carry out the mission or the plans of the planets and luminaries and Virgo can follow the strict orders, rules, and daily job tasks set out by Vesta. And a lot of astrologers feel like Ceres belongs to Cancer or Taurus. Ceres is fertile as is Cancer and Taurus; however, Virgo is a barren sign. Also, a lot of astrologers feel that Chiron is connected to Pisces, Sagittarius, as well as Virgo. 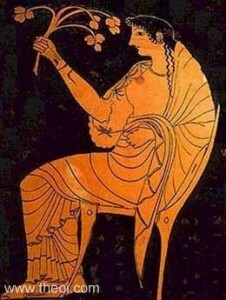 Pallas Athena / Athene is fire-like. I was thinking Leo or Aries for this celestial Goddess but I haven’t researched that either. The only one of the ‘first four’ I researched was Vesta. Do you have a particular interest in asteroids? Though Vesta and Ceres are no longer considered asteroids. Hope to get your comments on some other posts.